Kiev: Over the past year, Pres. Yanukovich and his Party of Regions have been busy: filleting, parsing, and diminishing democracy in Ukraine. The playbook of crushing all political alternatives was written by Putin from 2000-2007 in Russia, as any opposition was sequentially ridiculed, marginalized, persecuted, and criminalized... till there was simply none left among oligarchs, Duma, governors, courts, even mayors were bullied into submission- the once vibrant Yabloko party just gave up after it was pushed out of the Duma. It took Putin 7 years to do this, in Ukraine, Yanukovich has accomplished it in 7 months. First they passed a law that prevented any Party not formed over a year ago from participating in local elections (this part just rescinded when even Dep. Prime Minister Tigypko party couldn't participate), denied individuals from running (only Party nominated people could); crushed the last 2 small independent TV stations by voiding their licenses; dismantled the Supreme Court because it's head belonged to the fading opposition; argued against Ukraine at Stockholm in favor of a corrupt gas middleman RosUkrEnergo- bankrupting the state Naftogaz company in the process with a $5 billion verdict; imprisoned 4 top officials from the previous government who approved the takeover of gas from the parasitical middleman firm- which was bleeding Ukraine for $1 billion/year in kickbacks that went to Ukraine billionaire Firtash and back to Russia's Gazprom, violently cracked down on demonstrations, and packed the Nat. TV & Radio Council with loyalists. 4 TV channels ran a fawning biography of Victor Yanukovich for his birthday, somehow failing to mention his 3 - years in prison for mugging. Take Mr. Khoroshkovsky, 41, a man with more hats than Imelda Marcos had shoes, and beset by enough conflicts of interests that he should vaporize in an anti-matter explosion. He is, like many of the vastly rich here, recently a steel and banking billionaire. But he also runs the SBU, the Ukrainian successor to the KGB, and he was a big player in said middleman RosUkrEnergo, so the suit he brought against the state Naftogaz and the imprisoning of the officials that cut them out reeks to high heaven. Luckily there are always the Courts, but he is a member of the 20 member High Judicial Court (packed with 55% POR members including the chief) which has, in effect, just become the new Supreme Court when the real one was demoted, and also chooses all the other Justices, who are being replaced at warp speed. Some of this is unconstitutional, but the new chief Justice of the Constitutional Court is a ex-KGB/ SBU PO R loyalist from Yanukovich's Donetsk, like a huge number of government appointees and judges: 80% of that Court is supposed to be in Yanukovich's pocket, and most are former security services or prosecutors- Ukraine just was rated worst in the world in judicial corruption by Transparency International , 164th of 179 countries in economic freedom. Valeriy Khoroshkovsky also owns the biggest TV network- Inter Group- which just successfully removed already granted frequencies to 2 little networks in court: Tvi and Channel 5 (run by Tymoshenko's foreign minister) - control of TV is central to political power. If that wasn't enough he is a member of the National Bank of Ukraine, a former MP, and former head of the Customs Service. Incredibly the head of an SBU museum exposing the aging archives of Soviet crimes has been arrested and charged with divulging state secrets, a sop to the men from Moscow, who want to erase memory of Soviet atrocities. Mr. Khoroshkovsky isn't the only billionaire in government- the POR is run by them, including the countries richest man- Rinat Akhmetov and particularly Dmitry Firtash (owned RosUkrEnergo and has his people throughout government), who see no difference between the state's interests and their own. L'etat, c'est moi. Akhmetov just bought out the 3rd biggest steel producer Ilyich which had been starved of decent price ore by Akhmetov's Metinvest; who control most of the iron ore supply; he already owned the 2nd biggest steel producer" while Igor Kolomoisky controls all the ferro-alloy ore plants and 40% of Ukraine's main oil producer. A similar situation existed with America's robber barons in the 1890's but Ukraine's smaller size and sparser economic diversification means maybe 30-40% of the countries wealth will first flow through the pockets of the mega-rich oligarchs. This is in a country where an average salary in the capital is maybe $1.70/hour. In the Soviet mindset, every other power is a possible threat, and must be co-opted, dominated, or destroyed- it is a sickness. The POR continues to lure more opposition deputies into their Rada block (alliance now about 59%), reportedly with $ +1 million payments- after which their votes are never in question. After getting a POR member as Deputy Kiev mayor, they took effective control of the Mayor's office from the erratic and famously corrupt Chernovetsky- then masked SBU commandos raided the offices of the Kiev Dep. Head of Administration, and the Kiev City Council abolished elected Kiev District Councils, leaving all power to the President appointed District Administration heads. In 2004, Yanukovich and Kuchma forced Yushchenko to accept an unwieldy Parliament/Presidential power division- now that Yanukovich is President, he prevailed on the Constitutional Court to cancel that Constitution and return to the 1996 Constitution with strong Presidential control. Journalists have come under extreme pressure not to criticize the Government; a muckraking Kharkiv editor disappeared a month ago and is presumed murdered, a Donetsk reporter was severely beaten hours after publishing a critical article, and even Westerners are being randomly rousted for documents under a hard-line Interior Minister. 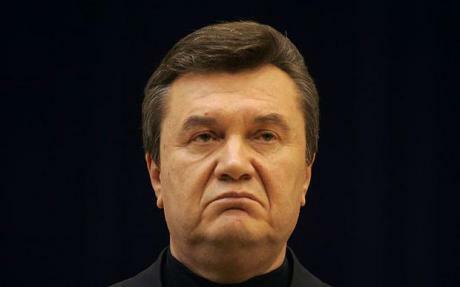 Ukraine is a deeply corrupt place-146 down out of 180 countries- there are few high officials or businessman who haven't pocketed large sums or committed crimes, including Yanukovich and his cabal, who initially stole the 2004 election. When high people are prosecuted here, it is usually entirely political- the West needs to pay attention, and refuse to cooperate with facilitating political persecutions of former Tymoshenko officials by extradition or Interpol (2 dozen former officials have been charged inc. Tymoshenko). The question isn't whether they are corrupt, but in the dirty grey world of Ukr politics, how bad their corruption is compared to their successors. There is nothing worse than prosecuting your political opponents, even as you are committing far more egregious crimes- the suborning of $ billions of Ukraine's interest in the name of private connected billionaires was clear and simple treason - the likely result will be the partial sale of Ukraine's gas network to Russia's Gazprom and the loss of the nation's sovereignty. America is distracted; signals by Sec. of State Hillary Clinton (in a Sept visit) and Bill Clinton (in hobnobbing with the Pinchuks + Kuchma's on a October 3 fundraising visit) haven't been overly critical. Europe has pressured Ukraine, but is also distracted, and is likely to shrink from further involvement with the re-Sovietized republic as arbitrary edicts and business takeovers proliferate.